Why yes, it does seem like the Bloom Hillel Student Center at the University of Alabama dedicated its building just yesterday. 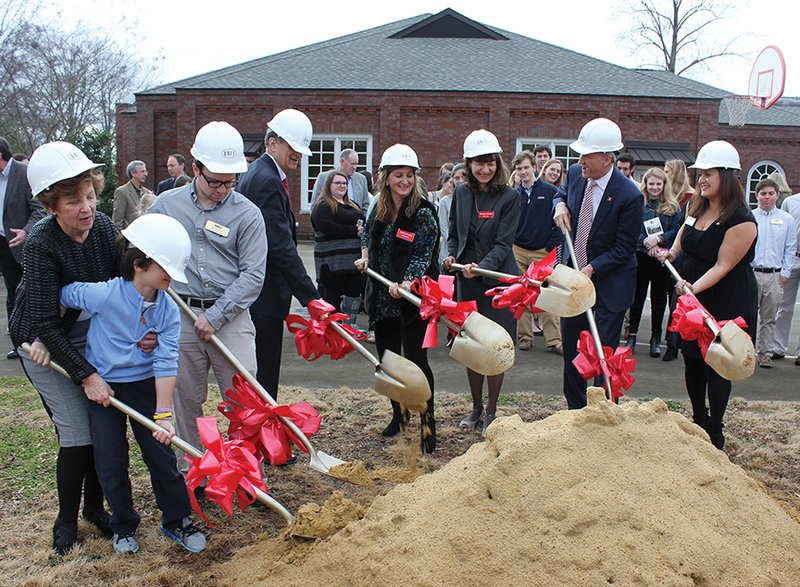 Six years after the Bloom Hillel at the University of Alabama opened the doors of its new facility, a ceremonial groundbreaking was held on Feb. 4 to expand the facility. The building will be expanded by 50 percent, with the main room doubling in size from a capacity of 140 to 250. Construction is scheduled to be completed by August. A $1 million campaign is underway for the expansion and for expanded programming. Hillel Director Lisa Raymon Besnoy said “the best part is that the students are very excited.” Student attendance at Hillel events has tripled since the center opened in 2011. Besnoy, a third-generation Alabama graduate, said the Hillel has also become her family’s extended home. At the start of the groundbreaking ceremony, she acknowledged that many who would otherwise have attended were mourning “the death of a loved one in Birmingham,” at the funeral of Annabel Marks. She brought up her mother, Elaine Raymon, to lead Shehecheyanu. Denny told Bill Bloom that the students were a “noisy crowd with no place to call home,” so Bill Bloom rented a house on University Avenue where the Jewish students could meet. A national vice president of the Anti-Defamation League, he then made an application to national B’nai B’rith for this new thing called a Hillel Center in 1927, and the Alabama B’nai B’rith Foundation was established in 1934. At the time there were about 400 Jewish students. In 1952, a permanent Hillel House was dedicated across the street from the stadium. “Every single rabbi in the state came to the dedication and marched under a canopy,” Bloom said. After reaching a Jewish student population of 600 in the 1950s, the numbers started declining after the Stand in the Schoolhouse Door. Rabbi Bernard Honan increased the Jewish numbers in the 1970s, but in the late 1970s national Hillel stopped their financial support. Bloom praised Don Siegal and Stan Bloom for keeping Hillel going during “lean budget years.” By 2000, there were about 250 Jewish students and the building was showing its age. In 2007, the university offered to buy the Hillel site and provide an on-campus location for a new building. Then-president Robert Witt was also working on a major recruiting effort to diversify the student body, leading to large increases in Jewish enrollment. 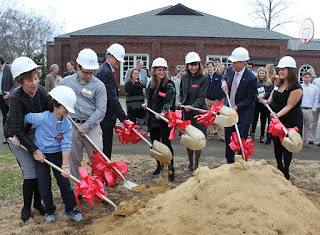 In 2009, groundbreaking took place on the current Hillel building, with an estimated 600 Jewish students on campus. Today, Alabama has roughly 900 Jewish students, with an average of 110 attending Shabbat dinner every week, about 80 for Sunday brunch, and 140 in attendance for the High Holy Days. Bloom noted “It was a group of students who made the most compelling argument,” by saying the expansion was “concrete evidence” to prospective students of “our dramatic growth.” Some projections have the Jewish enrollment at Alabama doubling again in the next 10 years. The expansion will also add storage space, a conference room and a director’s office, and a new outdoor basketball court. The bathrooms would also be expanded. In December, Eliza and Hugh Culverhouse provided a $100,000 match challenge to kick off the capital campaign. Besnoy praised them for “their belief in us” and being the first Visionary Leaders donor. Honan said there have been about 200 contributors to the campaign, which is ongoing.